Looking for Transfer Switches? Get a quote fast. A transfer switch is used to transfer an electrical load between two sources. There are three common types: Automatic transfer switches, manual transfer switches, and double throw safety switches. Manual transfer switches are thrown by an operator, while automatic transfer switches are activated automatically when it detects a loss of power. Manual transfer switches (also known as static switches) let the operator choose which circuits they’d like to power after throwing the switch. 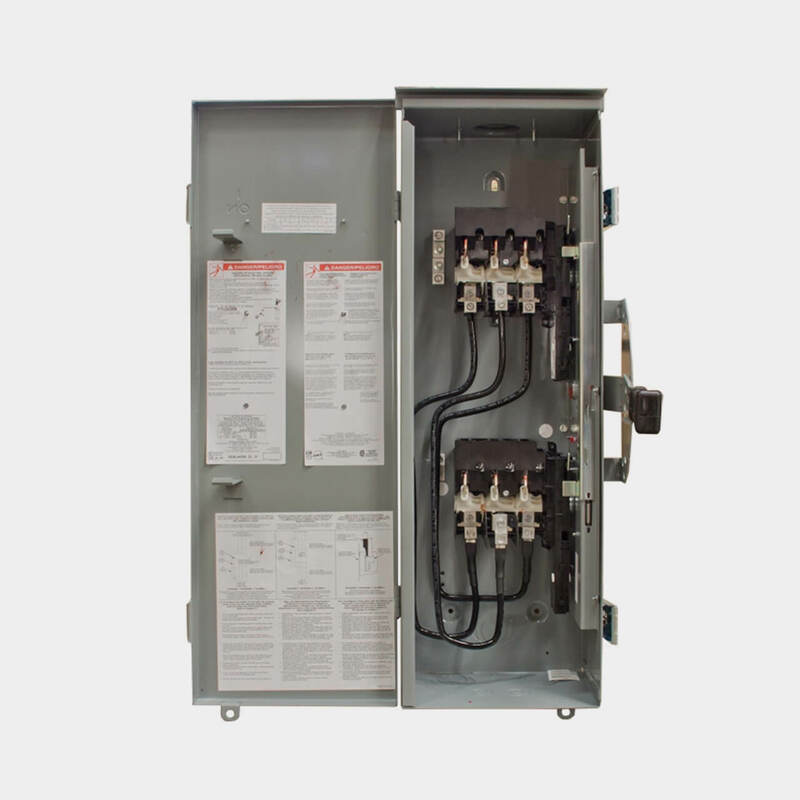 Automatic transfer switches (also referred to as an ATS), are the more common choice when it comes to choosing a generator switch. While both automatic transfer switches and manual transfer switches essentially do the same job, automatic switches tend to be more preferable as they save you from having to find your electrical panel during a power outage, shutting off certain breakers, and then manually switching on your backup generator. Transfer switches can detect a loss of power, and whether automatically or manually, can then transfer electricity from one source to another, all while also isolating the generator and designated circuits from the rest of the electrical system. Backup generators are used across all types of electrical systems, so transfer switches and generator switches, both manual and automatic, are used across industrial, commercial, and residential applications. Transfer your trust to Bay Power. Your backup power source is your last line of defense. That’s why you need a transfer switch you can count on. Whether you’re looking for a Generac automatic transfer switch, or a Square D manual transfer switch, Bay Power has everything to meet your transfer switch needs. 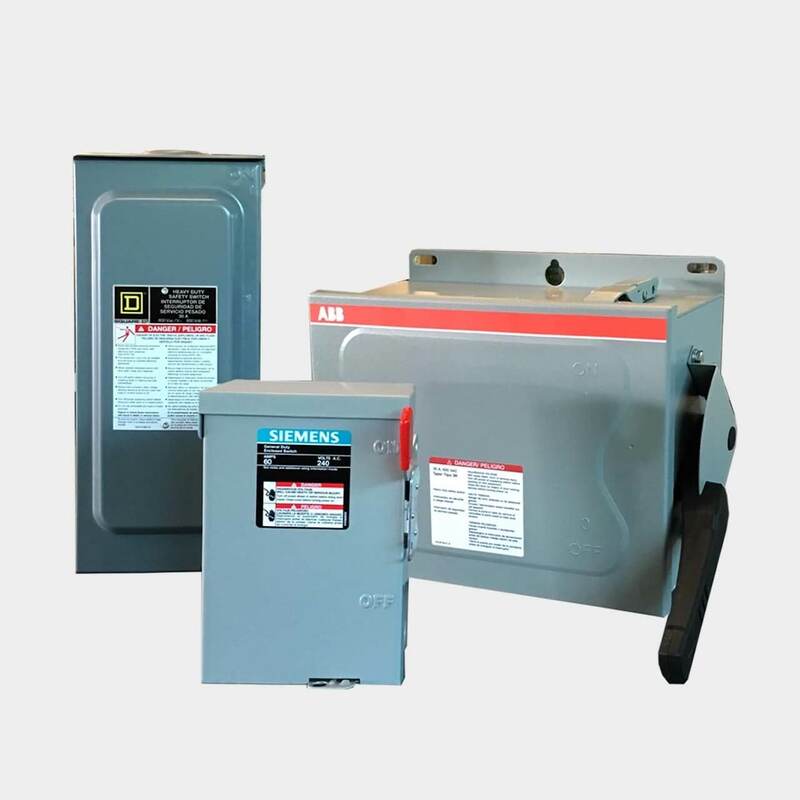 We carry only the best from leading manual and automatic transfer switch manufacturers like Generac, GE, Asco, Square D, ABB, and more. Manual switches are commonly used in residential applications, and require the operator to throw the switch themselves. They can also be configured to either supply power to pre-selected circuits, allowing power to be restored in certain areas only, or they can be connected to supply power to the entire load center. Bay Power carries 100 amp manual transfer switches, 200 amp manual transfer switches and 3-phase manual transfer switches. Automatic transfer switches perform multiple actions very quickly as soon as an outage is detected. They are also installed so as to only provide power to circuits that can be pre-selected. They are a common choice across industrial and commercial applications, as they are far more convenient as they don’t require the operator to throw the switch manually. 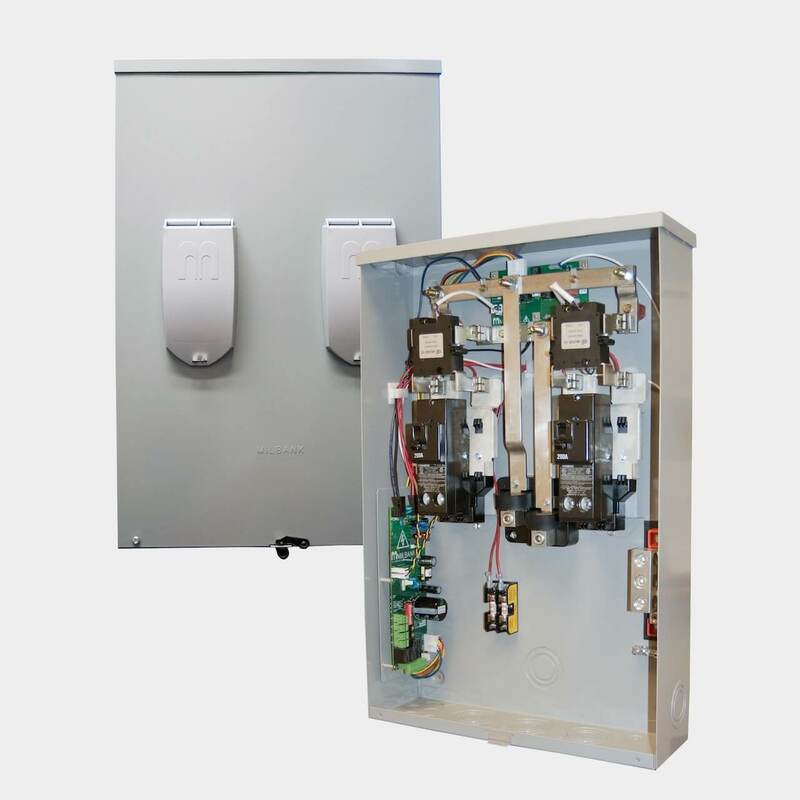 Bay Power carries 30A, 50A, 400A, 100A, and 200 amp automatic transfer switches, as well as single phase and 3-phase automatic transfer switches. Double throw safety switches are used in medium to heavy duty industrial and commercial applications. As their name suggests, they have two interlocked switches, preventing them running in parallel, as well as being thrown at the same time. They switch two electrical loads between a single power source, and are capable of isolating and interrupting power. Have any old or unused Transfer Switches lying around? Don’t get rid of them just yet. While we stock a wide range of quality electrical products and solutions, both new and reconditioned, we also buy back your unwanted equipment. So, before deciding what to do with your old Transfer Switches and components, have one of our expert technicians take a look to see if we can save a few parts, save the environment, and save you some cash. Great service shouldn’t end after the purchase. We pride ourselves on the relationships we build with our customer-first mentality and the quality of our Transfer Switches and components. That’s why we offer a 1-year replacement warranty on all of our electrical products and solutions from the top manufacturers. Because when you buy with Bay Power, you buy with confidence. We are proud to stock a variety of competitively priced, new and reconditioned components from the leading manufacturers of Transfer Switches. Thanks to our extensive inventory of Transfer Switches and components, our resourceful and expertly trained staff will always be able to get the products that you need. Through our extensive network of suppliers, we are able to carry and acquire a huge variety of electrical products and solutions, so chances are if you need it, we can get it. Bay Power’s priority is providing you with reliable, high quality electrical hardware. That’s why our mission is to make sure our reconditioned electrical products and solutions function as perfectly as the day they were built. Because while the quality is high, the cost of Transfer Switches shouldn’t be. Our selection of new surplus Transfer Switches may not arrive brand new in a box, but they function just as well, and have never had electricity run through them. All of the quality, none of the packaging, always with our 1-year replacement warranty.